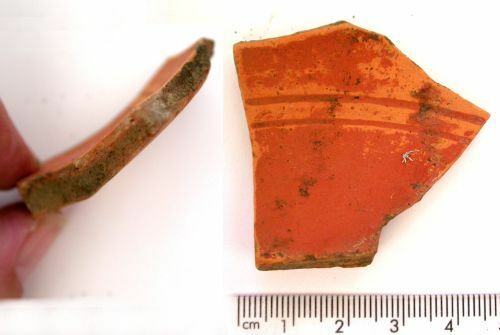 A sherd of a Roman colour coated dish or bowl, made in a soft red fabric, visible where the orange colour coat has worn away and at the breaks. There are two inpressed lines decorating the inner surface of the pot. This may be an Oxford ware product.